Welcome to Vista Hills Pool Service of Scottsdale, Arizona. We are a family owned and operated Phoenix and Scottsdale pool service. We are dependable, affordable and experienced. In addition to our weekly and monthly swimming pool cleaning service we also offer repairs, maintenance and inspections as well as installation and repair of equipment. We offer competitive pricing and our service is second to none. Monthly Pool Service starting as low as just $65.00 per month including chemicals. Call us today and start enjoying your clean pool. Vista Hills has serviced our pool for the past 5 years. Both Cory and Brett have delivered excellent service. Their industry knowledge puts them ahead of other service providers. They take great pride in their work and make themselves available at any time. 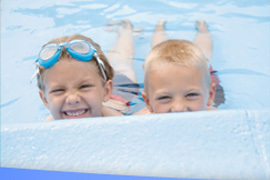 They can be trusted with complex repair jobs and simply your monthly pool care.